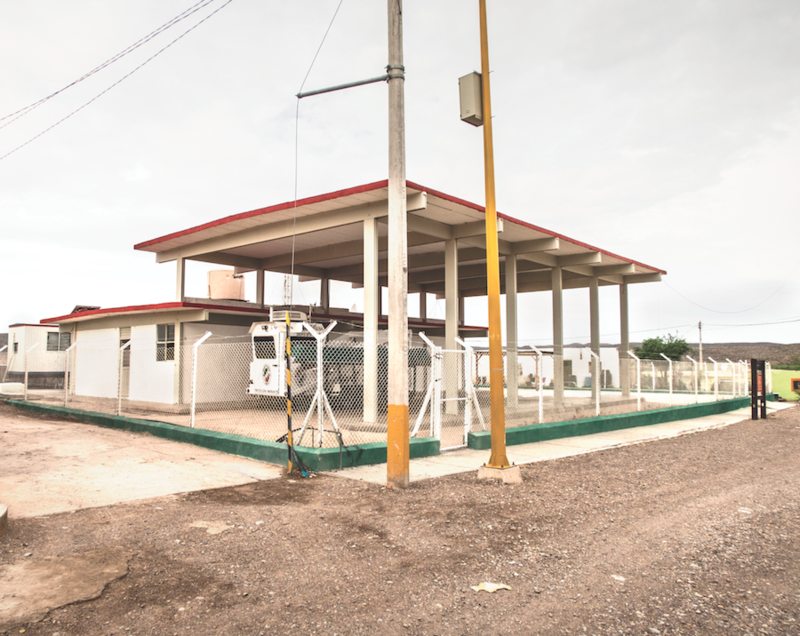 In one of the most remote stretches of the United States–Mexico border, a different kind of border crossing has emerged: A remotely managed mash-up of new document-processing technology, rowboats, and donkeys. The Boquillas Port of Entry (POE) does not have the large processing volume of a typical port on the Southwest U.S. border with Mexico. In high season, the crossing will process a couple of hundred visitors a day; no vehicles are allowed. Most days only a few tourists pass through. For years, the U.S. government shuttered the remote crossing, citing security concerns after 9/11. Only after National Park Service rangers and teams of scientists expressed a need to reconnect across the binational divide did the port reopen in 2013; a new processing facility was also constructed to manage the minimal security concerns. It is hard to imagine a less likely area for illegal entry. The crossing is hours from the nearest large city, in Big Bend National Park (BBNP), land controlled and managed by the National Park Service (NPS). The surrounding landscape is majestic, but foreboding for those on foot, with steep canyons, ravines, thick vegetation, and the Rio Grande providing a host of formidable natural barriers. Park visitors are warned of the dangers of heat stroke, exposure, and dehydration, even in mild months. The binational imaginary here is pervasive and persistent. BBNP is part of the most expansive and biodiverse desert region in the U.S., and shares a transnational ecosystem with natural preserves on the Mexican side. Here, the two nations seem knit together by the river valley, and diverse advocates on both sides voice strong opposition to the proposed expansion of the International Border Fence through the region. In the early 20th century, landscape architect Albert William Dorgan imagined transforming this land into an International Peace Park, a hyperbolic simulacrum of the real and imagined opportunities latent in border space, complete with replica frontier towns and hydroelectric power. Even in this idyllic proposal, national security concerns crept in—a scenic motorway for tourists was proposed, with a double use to support expedited military deployments. While cultural affinities remain, the binational dream of a joint international park has faded in the midst of stark juridical differences and philosophies of land management on the two sides of the river. In the U.S., the NPS manages and enforces the conservation and protection efforts. While the Mexican land enjoys protected status, it is mostly privately owned, and is allowed to maintain traditional land uses. Communal land (ejidos) transforms the territory through farming and agricultural water use. The remoteness of the area, coupled with strong ecological and cultural affinities, has produced unlikely cross-border partnerships, enacting an exuberant transnational territory despite calcifying juridical barriers. Longstanding agreements, in place since the 1960s and more recently amended, have allowed both U.S. and Mexican firefighting services to cross the international boundary within a “zone of mutual assistance”—a ten-mile swath on either side of the border—when property or lives are threatened. Select Mexican nationals form a crew of experienced firefighters—Los Diablos—with permission to work within U.S. territory. Supported by the Park Service and the World Wildlife Fund (WWF), they set controlled burns to rid the banks of the Rio Grande of invasive plant species. BBNP has a “sister park” partnership with two adjacent protected areas in Mexico, and park officials travel through the Boquillas POE to share conservation techniques. The reopening of the port has helped park officials to connect more often and more directly, avoiding long detours through “narco territory,” perilous regions with high cartel activity. The border crossing station is itself supported by an unlikely partnership. The port of entry falls under the purview of the Big Bend Sector of U.S. Customs and Border Protection (CBP), which happens to have the most “border miles” of any sector on the southwest border with Mexico. Unlike other POEs, it is the first to not be managed on site by U.S. Border Patrol (USBP) agents, but by an NPS ranger. CBP remotely manages the site through nearby mobile patrols of border patrol agents stationed in the park, capable of collapsing on the site in short time if needed. Sensing technology and nearby checkpoints further limit unauthorized movements. When we visit early on an August day in 2017, we wait for the port to open. It is only open certain days at certain hours. A park ranger warns us that if we do not make it back by the time he closes the port, we will need to stay in Mexico for the night. 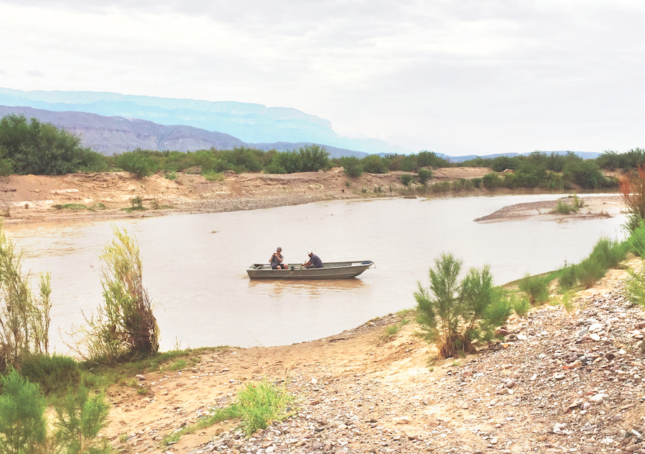 Down a short, winding path from the POE, surveillance cameras and a wake of turkey vultures monitor a boat launch, while a small rowboat grandiloquently named the Boquillas International Ferry shuttles a few travelers at a time across the Rio Grande for a $5 round-trip fee. The river crossing is easy, relaxed—the 30-foot journey over in under a minute. 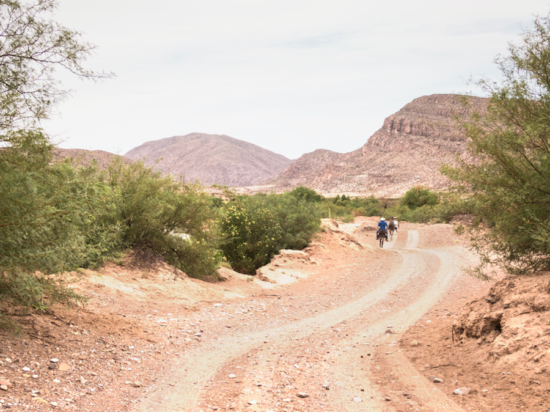 Once in Mexico, visitors can travel by burro, taxi, or on foot to the former mining town of Boquillas del Carmen, about a mile away. The town is welcoming, but sleepy in the early morning and August heat. Visitors are rare this time of year. Children ride burros to the crossing in hopes of a busier afternoon. When it’s time to return, we need to work to get our passport stamped, waking the Mexican customs official and asking that he open the office to complete the processing. According to a press release in 2014, issued on the first anniversary of the new international crossing, the “state-of-the-art” border crossing employed “cutting-edge technologies” to secure this new outpost, building on the “already robust border security in the area.” As we reenter the POE, this technological infusion is evident, if awkwardly executed. Two kiosks with document scanners are wired into an old-school telephone receiver. Fingerprint scanners, like those now common at airport customs processing facilities, provide secondary ID confirmation. The telephone rings, and a Border Patrol agent located five hours away in El Paso asks a few questions and welcomes us to the United States. If there is robust security here, it is in the untold sensors, cameras, and field agents invisible from this unassuming ranger station. As congressional committees call for “advanced unattended surveillance sensors” and other managerial landscape technologies to more intensely control the most remote stretches of the Southwest border, the un-monitored border will become an even more distant memory. Clandestine human movement will be discovered less through formal checkpoints and more through distributed networks of mobile, responsive patrols, hyper-managed by a constellation of federal, local, and private actors and technologies. At Boquillas and a dwindling number of other crossings maintaining an informal atmosphere, generational customs survive by striking opportunistic alliances with emerging security officials and technologies. The Boquillas crossing can be seen as an experiment in “unmanning” the border, a retreat from generations of border security dependent on human, face-to-face contact in dedicated brick-and-mortar facilities as an essential fail-safe to controlling cross-border migration. As sensing capability improves, buoyed by biometrics, unmanned vehicles, and surveillance technology, we can imagine these encounters of authentication and enforcement taking place even further afield, rendering physical installations and human actors unnecessary.